How do you help make healthier choices easier and more available to entire communities? 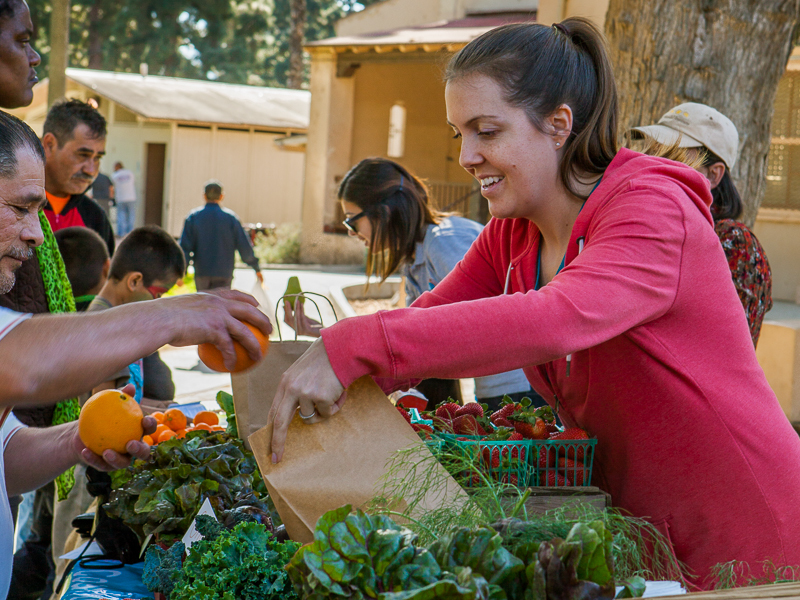 That’s the driving force behind Kaiser Permanente’s Healthy Eating Active Living (HEAL) Initiative, an ambitious effort targeting 10 low-income communities throughout Southern California. Community Partners has worked with Kaiser Permanente to support the development of these 10 ‘HEAL Zones’ since 2011. It’s a major community engagement effort that works to bring on board all sectors of each ‘zone’ – from schools and local governments, to faith groups and business, as well as hospitals and health clinics, residents, and more. The goal? Reduce calorie intake, increase consumption of healthy foods and beverages, and increase physical activity for upwards of 200,000 residents living in those targeted areas. A significant part of Community Partners’ role has been around identifying and supporting strong leaders and effective coalitions within each community. Our team brings extensive expertise, resources and coaching to help each site understand how to transform the environments and policies that have contributed to the obesity epidemic. We also create a wide variety of learning opportunities to connect participants with one another within each zone, and bring leaders together from across the region. "Community Partners' expertise has helped us overcome some key challenges," noted Clara Steimberg, project manager for Kaiser Permanente Community Benefit. "And they've been instrumental in developing the learning communities as safe environments for grantees." Important changes are already taking place as a result of the HEAL initiative. Ventura has a new park, the Anaheim City School District has dropped chocolate milk from the menus of all its schools, and walkability assessments in both Long Beach and Ventura will help inform those cities’ efforts to make their streets more pedestrian friendly. And as cities also work to adopt supportive policies and more community partners join in the efforts, essential changes that get people to eat better and move more will continue to spread.